Are you thinking about visiting the Caribbean island of Bonaire? If so, Harbour Village is your best option. Harbour Village is a luxury resort with large suites, a beautiful beach, beachfront tiki bar, large swimming pool, kids club and walk-in diving ability. Harbour Village goes above and beyond with their customer service which has earned them great customer service ratings. Harbour Village is the perfect resort for couples or groups that have some non-divers within their group. Most resorts on Bonaire cater to the divers, which often means the accommodations are nice but not luxurious. Most resorts do not have a beach, nice size swimming pool or tiki bar but Harbour Village offers all of this to keep your non-divers busy and happy while the divers enjoy the amazing, protected marine life that surrounds this island. Harbour Village is currently offering the following specials: Book 14 nights in a Beachfront 1 bedroom Suite pay only 12 nights (14 = 12). When booking 8 nights in a Beachfront 1 bedroom Suite pay only 7 nights (8 = 7). The 2nd Diver sharing the suite in the Dive into Luxury package, pays the non-diver rate. These specials only apply during the 2012 summer season and cannot be combined with any other offer or with each other. Belize is the perfect spot for your Destination Wedding! Want to go somewhere unique and special for your Destination Wedding? 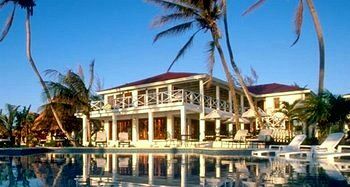 We recommend the Victoria House on Ambergris Caye off the coast of Belize! The Victoria House offers the perfect romantic location for your wedding. Whether an intimate family affair or a gathering of friends from around the world, they will make your special day a day to remember! Chose from a variety of wedding packages. The Victoria House is also perfect for honeymoons, renewal of vows, or a quiet and romantic getaway! To get to the Victoria House you will need to catch a flight into Belize City and then take a smaller airplane to the coast. We can help you with all of the logistics of this trip so contact us today at christy@caribbeanjourney.com or christy@barediver.com. We look forward to making your dreams come true!